Now that online ads makes up more than half of all advertising dollars, social media and digital marketing skills are more essential than ever. To stay competitive in a constantly-evolving field, it’s critical for social media marketers to have up-to-date training and a solid understanding of the platforms and tools that matter most. Certificates are one way to prove to employers and clients that you have the skills needed to create and execute successful social media strategies. We’ve rounded up eight of the best options to help you get ahead. This three-month program was created with some of the biggest names in tech, including Google, Facebook, and your pals at Hootsuite. It’s designed to kickstart your career as a digital marketer. The program covers essential skills for key social platforms, while also providing a broad view of the digital marketing realm.. It’s a mix of online modules and practical assignments, like running and evaluating campaigns, and performing an SEO audit. Udacity goes beyond skill-building too. When you wrap up the program, you’ll receive career support from Udacity to connect with prospective employers like Amazon and IBM. You’ll also have a digital marketing portfolio of your completed projects to show them. Udacity will even review your LinkedIn and GitHub profiles to help you stand out in your job search. And you can build your professional connections through their alumni network of more than 40,000 graduates. 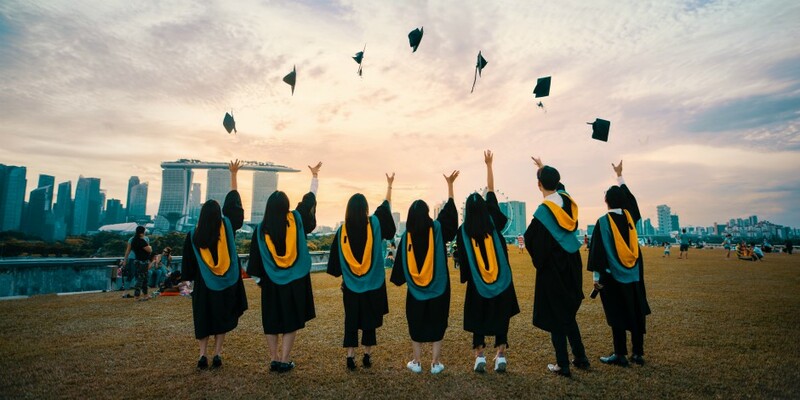 With more than 280,000 students and over 45,000 certified graduates, Hootsuite Academy offers a range of practical courses and industry-recognized certifications to make you a better social media marketer. The best place to start is our Social Marketing Training, a free six-part course that will teach you the core foundations of social media marketing, like building your audience, setting KPIs, and creating a content strategy. When you’re done sharpening your skills, you can opt for the certification exam to prove your expertise and join our directory of certified professionals. If you want to continue your learning and further develop your skills, we have a number of advanced certificate programs to support your growth. If you’re looking to make a good impression on the 330 million Twitter users, Twitter’s own Flight School can help you master the platform. Twitter Flight School was created to help agencies use the platform successfully. They made it available to everyone in 2016. The Marketing Leadership flight path is designed to help businesses achieve their Twitter goals, grow their audiences, and analyze their data. It doesn’t take long to get your Twitter pilot’s license. The flight path contains five short modules, and each takes only 10 to 15 minutes to work through. Despite the Mach 5 speed, each one is packed with statistics, case studies and scenarios to enrich your understanding of the platform. You can also work through four additional modules on topics like Twitter Ads and Twitter video. Each module concludes with a test of your knowledge. When you complete all the modules successfully, you’ll receive a certificate that can be printed or added to your LinkedIn profile. Formerly Lynda.com, LinkedIn Learning is a massive open online course (MOOC) platform. It offers thousands of courses taught by experts in every field, including digital marketing and social media. On LinkedIn Learning, you’ll find nearly 60 social media marketing courses (comprised of over 1,600 video tutorials) at every level, beginner to expert. A benefit of Lynda’s massive catalogue is you can find some unique courses here for specialized skills and industries, like Social Media for Nonprofits and Learning Adobe Spark Post. They also offer a social media marketing learning path. This is an expert-led training program covering foundational topics, including community management, platform-specific marketing, and measuring ROI. It’s 15 hours of video tutorials and a certificate of completion upon finishing. LinkedIn Learning may not have the cachet of some other industry-accredited certificate programs, but it’s a great option if you’re looking for flexible, self-directed learning on a broad range of topics. Cost: $25 USD per month for platform access, certificates included. For more than a decade, Boot Camp Digital has been delivering online training in social media and digital marketing to tens of thousands of people. They’ve built an impressive roster of clients like Nike, NASA, and Google. Their Social Media Certification offers over 70 hours of online video instruction on platform-specific marketing techniques. It also provides downloadable resources and tip sheets to help you implement effective tactics and strategies quickly. Content in this program is updated regularly to keep up with evolving platforms and industry trends. A special benefit of this program is the weekly one-on-one sessions with a qualified trainer, where learners have the opportunity to ask questions specific to their business or industry or get help with a tricky topic. Graduates receive an industry-recognized certification, as well as a professional endorsement on LinkedIn. Boot Camp Digital also offers certifications in digital marketing and SEO. With more than 2.2 billion users (and a billion on Instagram), Facebook is an arguably the most important advertising platform for your brand. It can also be a tough one to master, though. There are frequent changes to features and policies, not to mention millions of other companies competing for your audience’s attention. That’s where Facebook Blueprint comes in. Getting certified through Blueprint shows employers that you’ve developed advanced Facebook advertising skills, including targeting audiences, managing ads, and measuring campaign performance. Courses are broken down into short, specific modules, allowing you to gain a deep and comprehensive understanding of the platform. All courses are free. This means you can go beyond the required curriculum for Blueprint Certification and delve into additional courses on Messenger and Instagram. Facebook takes their certification seriously. They recommend at least six months of experience with Facebook advertising in a professional capacity before even taking the exam. It’s not a light undertaking, but that means the certification (valid for a year after you pass the exam) carries real weight with employers. All the knowledge in the world about ad formats, measurement tools, and audience demographics won’t help you achieve your goals if your content is lackluster. Closing the ads gap with creative content is one of the top social media trends for 2019. That means you’ll need to outshine your competitors when it comes to smart, creative content. To learn how to produce content that resonates with your audience, consider a certificate from the Content Marketing Institute (CMI). Unlike most of the other certifications, CMI isn’t focused on platform-specific tools or techniques. Instead, it focuses on developing your brand’s story and voice, and translating that into compelling and distinctive visual content. It also includes key considerations like audiences, measurement and sharing content across multiple channels. The pace of the program is self-determined. Materials are available for one year after registration. Once you complete all required courses and quizzes, you’ll receive your certificate. Chances are your marketing strategy involves driving audiences to your website to learn more about your business or purchase products and/or services. To understand the overall impact of your marketing efforts, you’re going to need a solid grasp of Google Analytics. Google Analytics is a powerful tool that lets you measure key marketing objectives like web traffic, conversions, and sign-ups. It tracks some of the most important social media metrics, like bounce rate, and allows you to measure ROI through UTM parameters. Google Analytics Academy helps you develop an advanced proficiency with this tool through guided video tutorials and practice sessions. Along with the video courses, learners have access to a demo account with real data and exercises to practice their new skills. Each unit concludes with an exam to test your knowledge before you advance to the next. The course is focused on e-commerce, but the lessons are relevant to any business. After you complete the first two courses at your own pace, you can take the Google Analytics Individual Qualification (GAIQ) assessment over at the Google Academy for Ads. The exam covers topics like data collection, configuration, conversion and attribution, and reports. Your certificate will be valid for 12 months. Learn the most important social media marketing skills you need to stay ahead of the pack with free training from Hootsuite Academy.